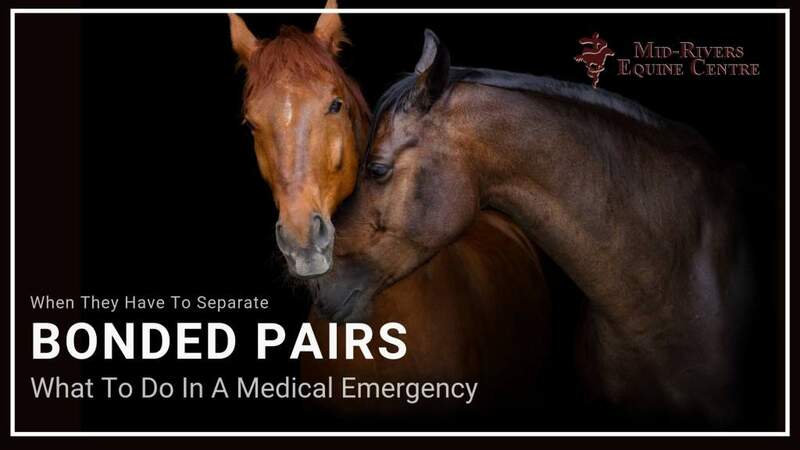 Should you have a pair of bonded horses, a medical emergency requiring the overly attached equines to separate could bring you double trouble. Here are a few tips to make the situation less stressful. 1. Bring Both: When possible and safe to do so, load both horses in the trailer. Keeping them together during travel will lower everyone’s stress levels. 2. Ask To Stay: Some equine hospitals like Mid-Rivers, will board the buddy horse if there is stall availability. There will be a cost to board the second horse, but it may very well be worth it. 3. 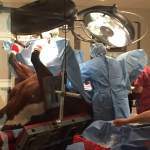 Borrow A Buddy: If you are unable to bring your horse’s buddy, the equine hospital may have a buddy horse on staff just for these kinds of situations. Make the staff aware of your horse’s emotional attachment, and they can either stall them near a horse with a non-transmittable disease, or bring in their own staff buddy to keep your horse company. 4. Teach Them To Be Independent: A bonded pair of pasture ponies may never anticipate being separated, but a medical emergency or worse, an unexpected death, can immediately thrust a horse into anxiety and stress. Teaching them to be secure in their independence will benefit horse and human.